Let me give a brief background on why i would like to discuss regarding this interesting and most often ignored topic of Dynamic Management Views(DMVs) and their relation with Database Compatibility Mode. Why am i sharing this today?? Well, we(our Team) recently started a Small Internal Project something called as “Performance Tuning Initiative”. As you all know, a DMV can help a DBA than any other free tool(Sometimes a paid tool too) out there in market!! So…we started to Pull all the Cool information with proper benchmarks and started doing trend analysis and monitoring using few fabulous DMVs which are available to all of us. I’ve a Database “AdventureWorksDW” set to Compatibility Level 80 as you can see below. Let’s run few typical DMV’s which we’ll be using on a regular basis against this database. In the above Screenshot you can see it had no issues with the “AdventureWorksDW” Database. 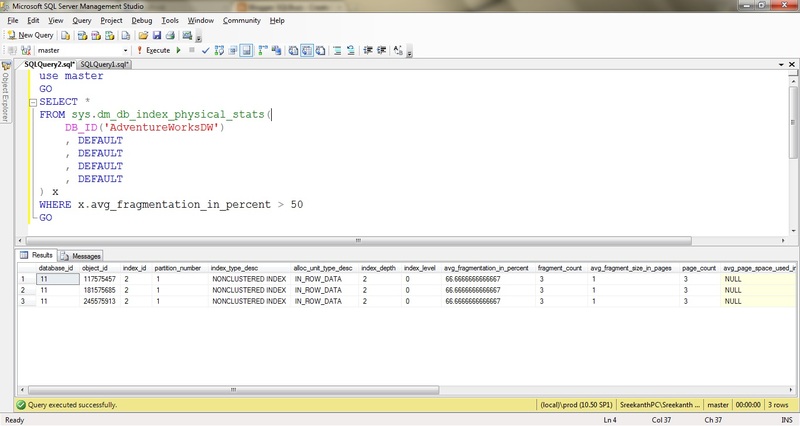 Let’s see what happens if we run our sys.dm_db_index_physical_stats against this Database. Ummm…it is screaming that there’s a syntax error. Actually it’s not. There’s a Simple trick to crack this thing. 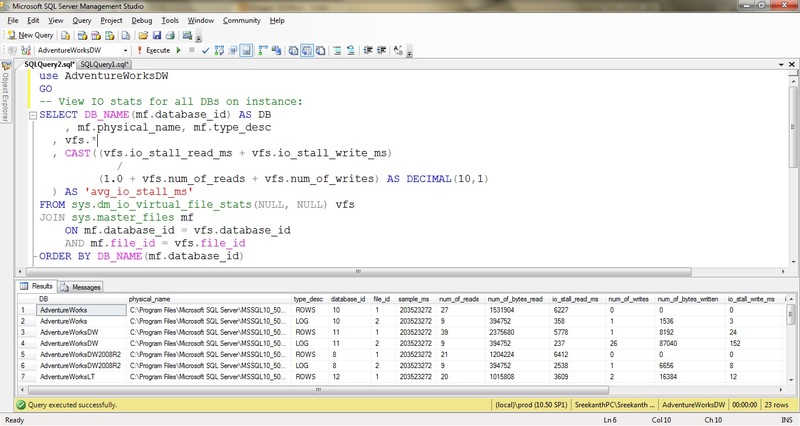 Crack – Execute the DMV in context of any other database which has 90/100 compatibility mode. 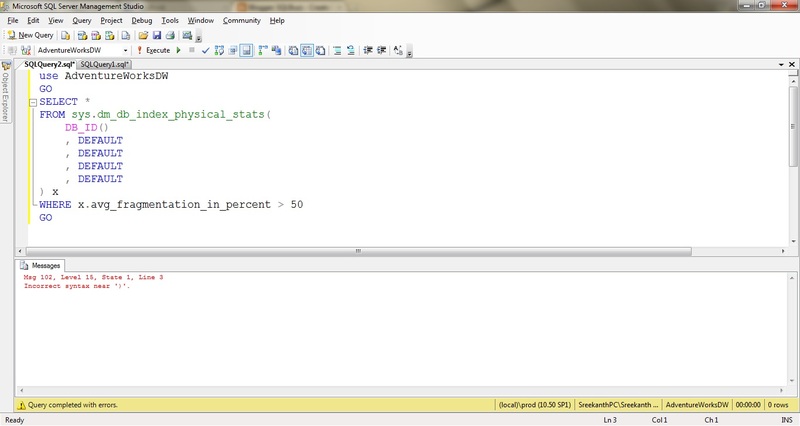 In my case I’m running on SQL Server 2008R2 and my master database has 100 Compatibility level. The results are as shown below in the screenshot. If you observe the syntax carefully, I’ve just changed the database context of execution and I’m passing my Database which is in Compatibility level 80 to the DB_ID() Function. What’s the Reason behind this?? Because the physical structure(Version) of the database is not going to change when you change compatibility level.In other words you are not downgrading a Database at it’s underlying physical architectural level by just reducing the compatibility level to an older version. You are changing only few Queries execution behaviors! That’s all basically what you are achieving here by reducing compatibility level to 80 in this case. Once the Database is on SQL Server 2005 by any means(Create from Scratch/Restored/Detached-attached), that’s it…the Database Version is set to 611/612. SQL Server 2000 Database Version – 539. That’s the reason why you can’t restore a Database from SQL Server 2005(2008) onto SQL Server 2000(2005) even though you changed the compatibility level to 80(90). SQL Server won’t allow to downgrade any database version. No exceptions here!! 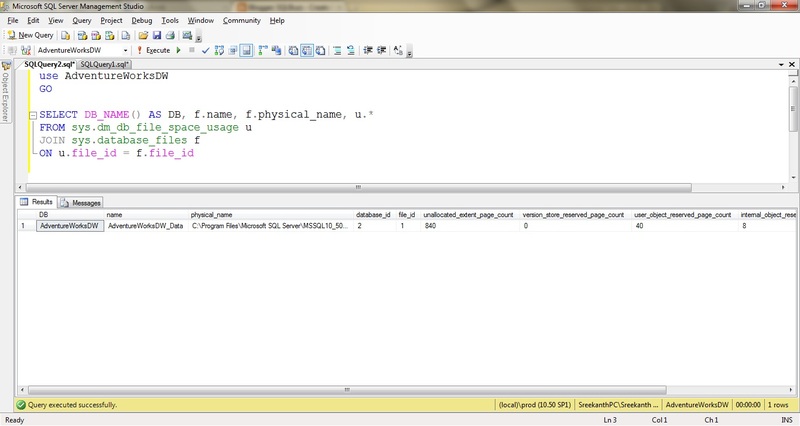 You’ve to choose the difficult path of moving object by object and data using SSIS!! 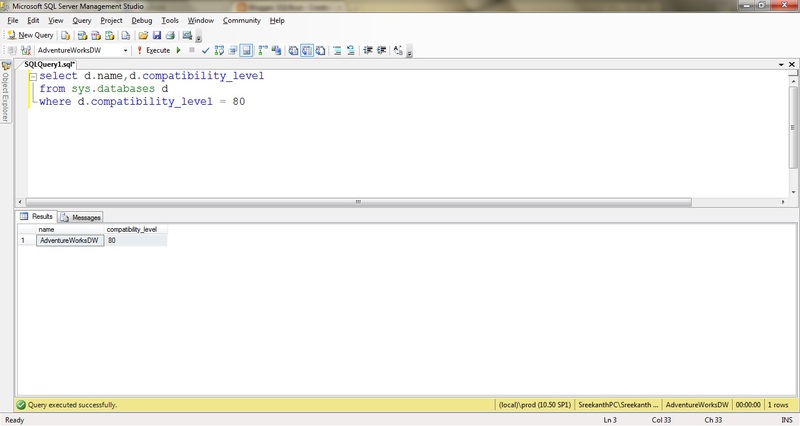 In the above screenshot, you can see the database has 80 Compatibility level but the DB version is 661(SQL Server 2008R2). Hope this information is useful….! Next Article What is IPv6? Why should we care about it?